These days, there is no shortage of reasons for preferring to use household materials that are made of substances other than wood. For one thing, there are all those recent concerns of outgassing from formaldehyde-treated woods. Or maybe you just prefer to be ‘Green” and opt for sustainable materials only. Or, perhaps, you simply have no desire to employ any wood for your home or kitchen at all, it’s just not you. Whatever your rationale, you’re not alone. That’s why there are plenty of options available to those who either seek wood alternatives or just something different all together. 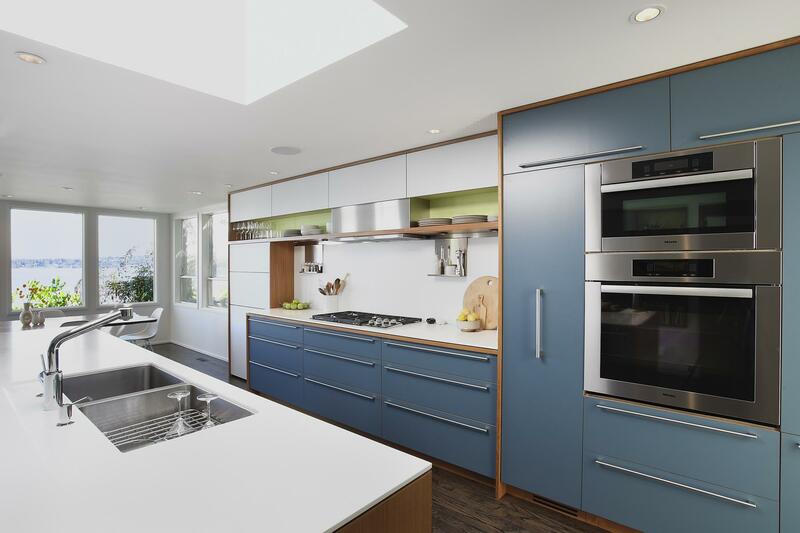 Finding modern kitchen cabinets made from a substance other than wood can pose a challenge, but if you have a bit of a craftsperson in you why not consider solving the issue yourself by repurposing work or outdoor cabinets? They’re likely to be found at a lower price point than cabinets designed specifically for the kitchen. 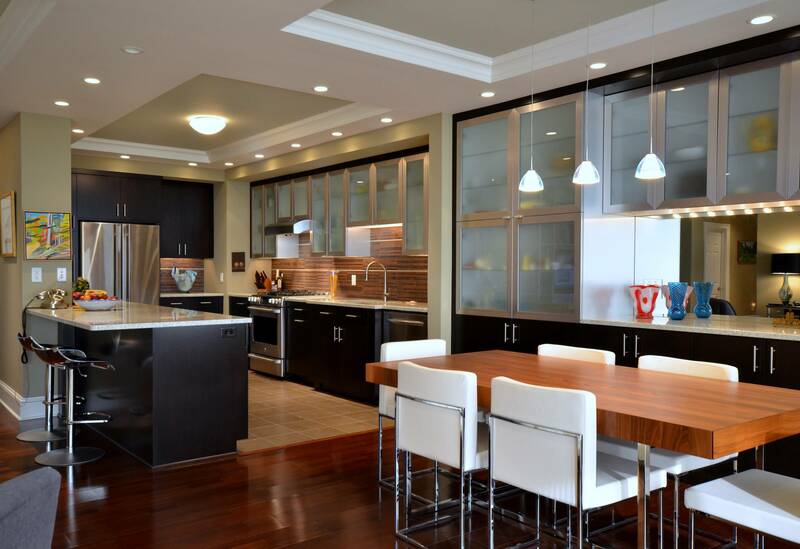 Since the kitchen is easily one of the most visited and utilized rooms in a home, you need to be selective when choosing materials for it. You need something durable, that can resist wear and tear and temperature extremes. You likely also prefer something that can be cleaned with a simple wipe-down. Naturally you’ll need the material to be moisture-resistant as well. So what does that leave you? Where do you look? Have no fear – you can count on the strength of stainless steel. 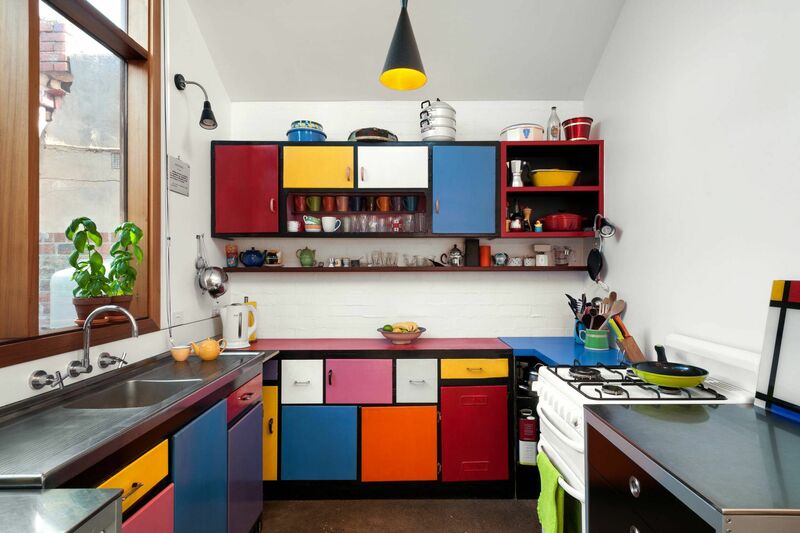 Heck, cabinets of steel could last forever. They’re ultra-durable and frankly they look pretty darn cool. An already popular idea is to establish a decorative theme in the kitchen by having it match the stainless steel appliances. They are easy to maintain and keep clean, and their surface does not lend itself to becoming a breeding ground for bacteria. 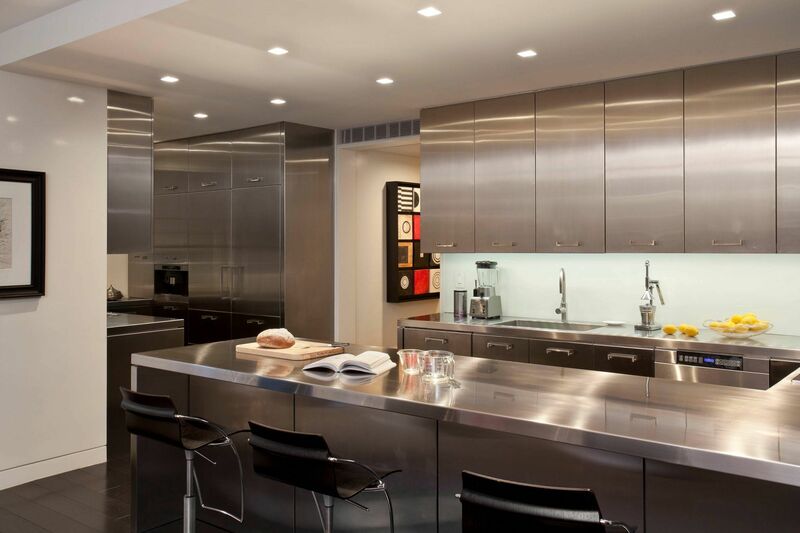 As you know, restaurant owners throughout the world depend on stainless steel for their commercial kitchens, that’s a serious endorsement. Brand new, they do tend to be pricier than many other cabinet options, but you can always hit up craigslist for something used, yet in excellent condition. As far as drawers, a good match can be found in PVC or an assortment of other plastic sources that are made as the ideal complements to stainless steel hardware. Another metal alternative, aluminum, shares many of the same advantages as steel yet is more affordable. It resists corrosion in the same manner, and it does not play host to bacteria. Appearance-wise it more closely resembles the matte finish of brushed stainless. However, there is a substance that can corrode its surface. Surprisingly, it is ash. Of course, it is a very slow process that can be avoided with proper maintenance. So if you happen to have a wood grill installed for the kitchen it’s just a matter of keeping it clean. Precautions should be taken to protect you and others from potential shocks caused by a random electrical short, because metal cabinets will serve as conductors of electricity. Of course, you can save yourself the risk of minor electrical shock by going the way of polymers. Cabinets of this kind are mostly made of a petroleum-based high density polyethylene (HDPE). If you are hoping to go ‘Green’ this is not your ideal choice. It actually presents a number of potential environmental issues caused by the extraction and production of the materials. They are easy to clean, but they’re not entirely durable. Set a hot pan down on a polymer surface and it’s prone to melt it! Although it does contain wood fibers, thermofoil doors may be a reasonable option, especially when low cost is the priority. Unlike their counterparts, they are molded, made from a material called “medium-density fiberboard” (MDF), that is covered in a laminate and heat-treated in a process that makes it solid. They are quite durable, though any damage they may incur is generally irreparable. They are available widely in options such as solid color or imitation wood grain finishes. So there you have it, a number of alternatives to the all-wood route. We hope you will be happy with your substitute for solid wood– it’s always smart to be aware and take advantage of options that reflect your personal preferences.